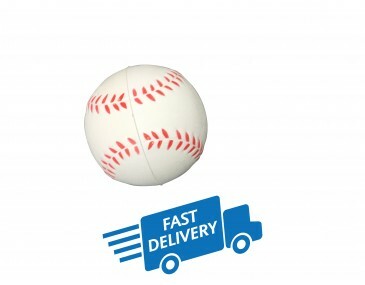 If you are in the sporting business and are looking for a trendy and fun promotional gift to give away to your clients, you must consider our fabulous baseballs. They are crafted in the exact shape of a real baseball ball but are actually stress balls that will thrill your clients and get them talking about your brand. Our ball is manufactured from a soft material that is flexible and strong and returns to its original shape after it is squeezed or squashed. The design offers a round ball in a light colour. It features the iconic feathered design that runs in an uneven circle around the body of the ball. Every fan will know it instantly. Talk to our innovative designers about branding your personalised company image onto the balls. Our listed price includes branding of your logo or graphic in a single colour print via pad printing. For additional print colours using pad printing onto the stressball, please refer to the pricing table below. Alternatively please email or phone us for a written quote.